It’s the most dreaded question in any job interview: What's your expected salary? Or, what's your hourly rate? Unfortunately, it can't be avoided, especially when online application systems make answering the question a requirement (or when the hiring manager sitting right in front of you asks it). But keep in mind that the question of pay is one you can prepare for. And by doing so, you'll come across as flexible and knowledgeable. Follow these five tips the next time you’re asked, "What's your expected salary?" To answer the crucial wage question, you need to evaluate your education, experience and skills. 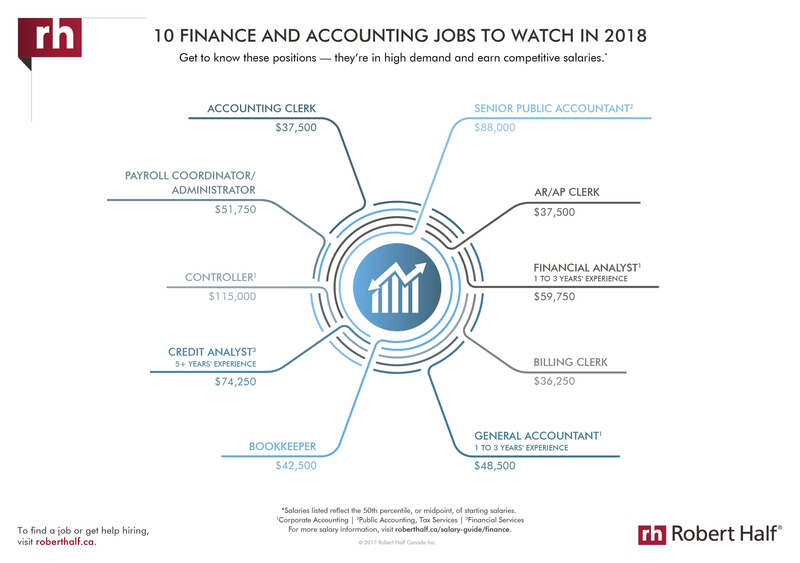 Then take a look at the accounting job market to see how it's performing, how saturated it is and what roles are in demand. If you're a payroll coordinator, for instance, that's listed in the 2018 Robert Half Salary Guide as one of the 10 hottest finance and accounting positions in Canada. The midpoint starting salary for a payroll coordinator is projected to be $51,750 CAD in 2018. Your assessment should consider where a company is located, how many employees it has, and whether it is privately or publicly owned. But know that it's a candidate-driven market right now, and you can easily get up to date on the latest salary trends. If the expected wage question pops up in a face-to-face interview, don’t be evasive. It’s always better to put off a discussion about pay until you’re well into the interview, after you’ve had opportunity to explain what you can bring to the table and learn a little more about what’s expected of the job you’re interviewing for. But if the interviewer insists, then give a range you’re comfortable with, based on what you discovered during your research. Be sure to read this: A Recruiter Tells All: How to Rock a Temporary Job Interview. When you work for a company, you’re not just receiving a salary or a paycheque. You’re also getting a full compensation package that includes vacation days and other perks. If you're looking for a full-position, and the salary is lower than you had hoped, you can ask for more perks, from vacation time to flexible work hours to permission to occasionally work remotely. Once you’ve learned the possibilities — and considered whether the company’s workplace culture seems right for you — then you can decide whether these extras make up for getting less money. Whether the expected salary question appears in an in-person interview or an online application, it often asks you to provide a range. Before you answer, consider whether you'll be happy with the number on the low end — or able to live on it. The chances are pretty good that the hiring manager will take you up on your lowest number. Don’t live to regret your answer. If your answer to “What's your expected salary?” causes your interviewer’s eyes to widen, maybe it’s not the right job for you. You should know from your research and your experience what you should be getting paid. When a company isn't willing or able to compensate you adequately, it’s probably not one where you’ll be happy in the long run. The compensation question can be tricky. If you go too high, you can take yourself out of the running. If you go too low, you may end up with a less-than-appealing offer. By preparing for this question ahead of time, you just might land the job of your dreams, with a paycheque to match. Still looking for that perfect job? We can help you find a position that matches your salary expectations. We can also get you started with a temporary job.